Chanel have had far too many yummy collections this year. In the lipstick stakes alone, there were three planned. 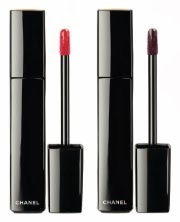 First-off, there was Avant-Première de Chanel (April), which featured new Rouge Coco Shine and new Rouge Coco shades. 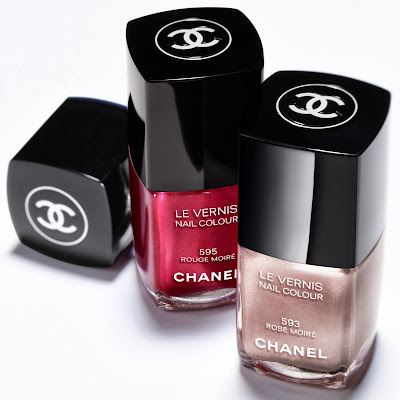 And then in June we saw the gorgeous Collection Révélation de Chanel, which introduced some delicious new sparkly and glossy Lèvres Scintellantes. 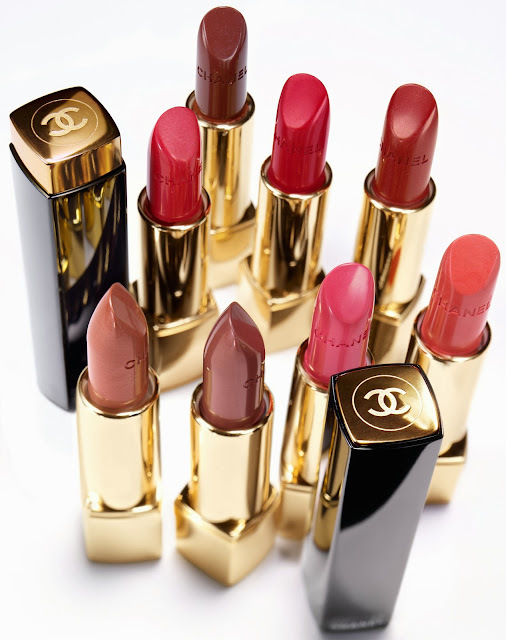 To complete their planned trio, Chanel have now delivered their third and final lippie collection for 2013: Collection Rouge Allure Moiré, which according to Chanel, is "inspired by the beauty and refinement of overflowing fabrics and ribbons" and features new and LE Rouge Allure, Rouge Allure Extrait de Gloss and Crayon Lèvres lipsticks, along with two LE Le Vernis shades. The French word, Moiré, in dressmaking, usually refers to watered silk. Think the kind of effect you get on silk taffeta, which looks almost like it has patterns in it when you move it in the light. 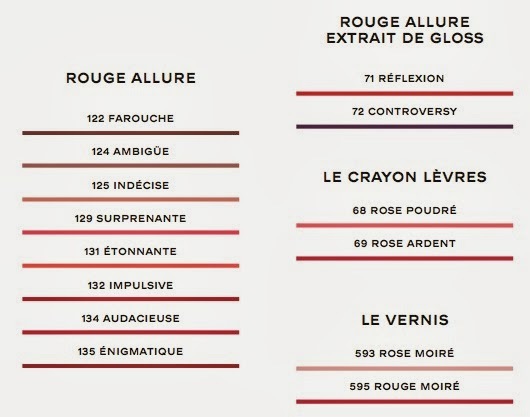 The moiré effect in the Rouge Allure lipsticks however, is the result of different types of mother-of-pearl: tone-on-tone, translucent or with golden, silver, bronze or copper reflects. What it means is that these lipsticks have a 3d-like, pearlescent, finish. Not quite metallic, nor frosted, nor glossy, but luminous for all of that. 68 Rose Poudré (new) - slightly greyish pale pink gives precision to delicate shades. The collection has already launched on the 27th September. My Favourite Base Eyeshadow - and it's only £1! 300th post - a little about me & a HUGE giveaway!